any idea what this symbol means? 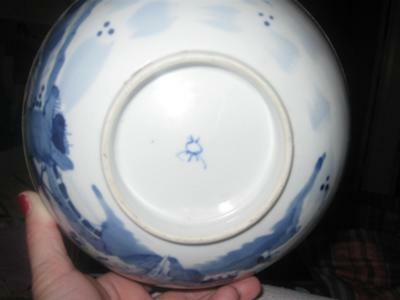 I bought this bowl thinking maybe it would be old, but for the life of me cannot find any scene similar nor can I find any symbol, new or old, that resembles the one on the bottom of my bowl. Comments for any idea what this symbol means? The pictures are not clear enough to see details. However, the bottom and top rim don't seem to be those of a very old item. 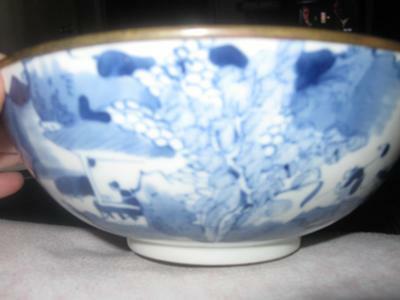 The decoration could have a traditional subject, but that would need additional, better pictures for verification.